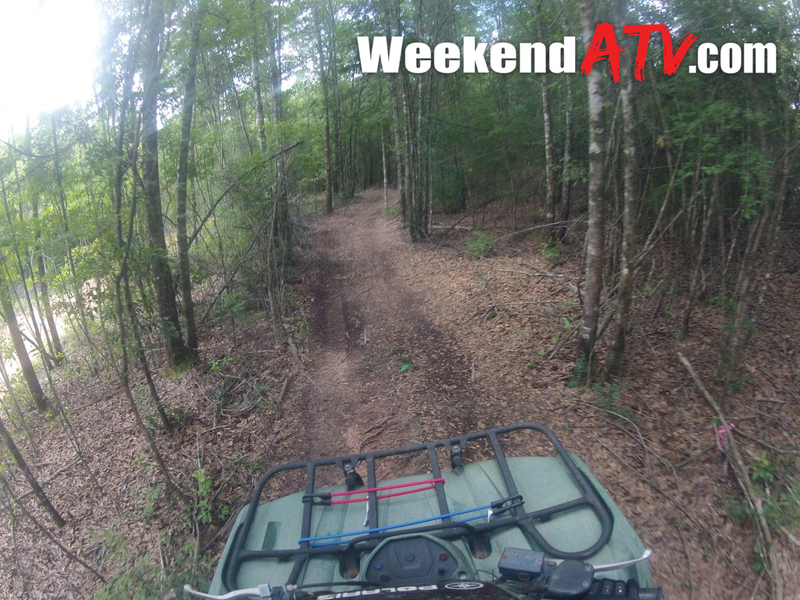 Things are looking up for ATV riders in the Sunshine state. The State of Florida has been working on adding new riding facilities at all ends of the state to compliment the current state trails found in central Florida. This past January, after a 10 year effort, Clear Creek OHV Trails opened as an extension of the Blackwater River State Forest thanks in part to grants from Yamaha and Polaris. The 346 acre tract has 27 miles of trails for area riders. Pulling into the park, there is a large staging area with ample parking on a gravel parking lot. There is a bathhouse with an outdoor shower. The small store where you sign in and pay your riding fees also has a selection of snacks and drinks and a few items you might need or have forgotten. Though the park is owned by the state it is operated by a private company. There is no camping at this time but future plans include it. More on that later. There is a small kids track for the youngest of riders to ride on. One note is the lack of shade around the staging area. You won’t find much of an escape from the Florida heat until you press the throttle and create a breeze. 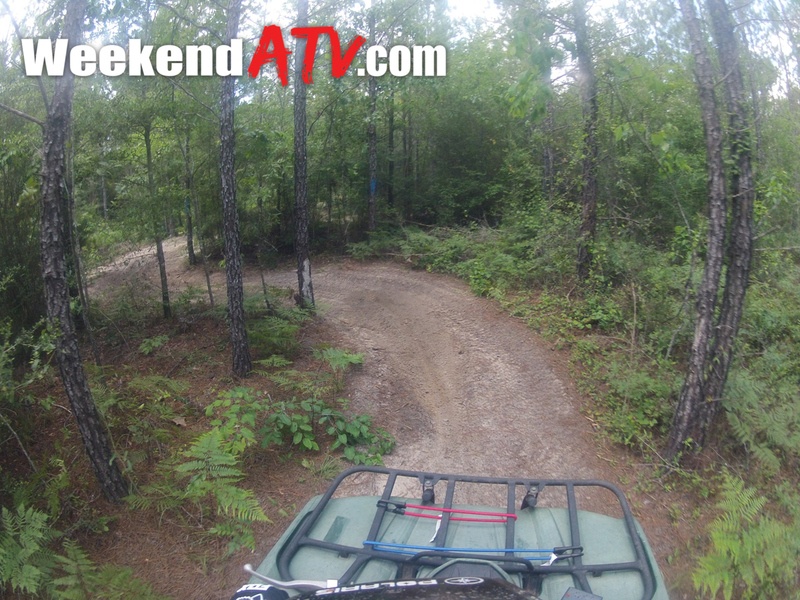 Like many of the parks in northwest Florida, Clear Creek OHV is popular for dirt bikes. During our visit no other ATVs were seen but several bikes were around. While all 27 miles of trails are open to them, about 8 miles is single track trails for dirt bikes only. 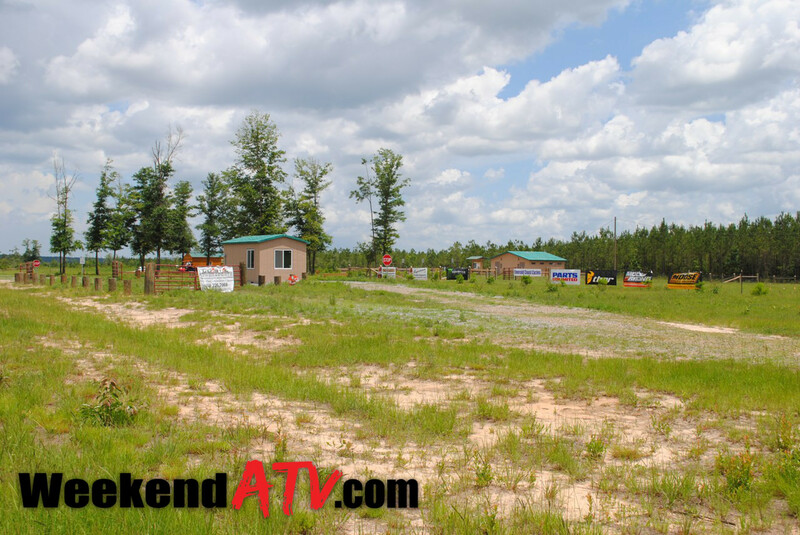 Currently the width limit is 50″ for the ATV trails keeping most side by sides out. With some of the tight weaving between trees we found this limit to be an accurate measurement. Another advantage for dirt bikes is the complete lack of anything mud related. Despite being named Clear Creek OHV, there is no creek, clear or otherwise on the property. Our visit was at the end of a week of heavy rains but the trails were dry though not overly dusty. Most of the trails run through an area that was obviously clear cut for timber a few years ago. These trails are especially sunny and dryer. The outer trails run through more tree coverage and are also the tighter trails. With no mud there aren’t many ruts. The trails are also not particularly technical. While it may not be challenging this does make the park incredibly family friendly and a great choice for young or inexperienced riders. The trails are all clearly marked and color coded. All trails are one way, with road signs limiting speed and warning of trail crossings. The state also acquired another 350 acres across the street. Grants are in progress to expand there including trails for side-by-sides and camping areas. Riding fees are very reasonable at $15 for adults, $10 for youth (14 and under), seniors and military. Annual passes are in the works as well. The park is only open Friday through Sunday from 8am-5pm, weather permitting. Helmets are required for all riders. Youth riders also need eye protection and boots that cover the ankles. Riders under age 16 are also required to take an approved ATV safety course. An approved online version of the course can be taken at http://www.atvsafety.org/. Noise is strictly rated to 96dB and every vehicle is checked before it hits the trails. 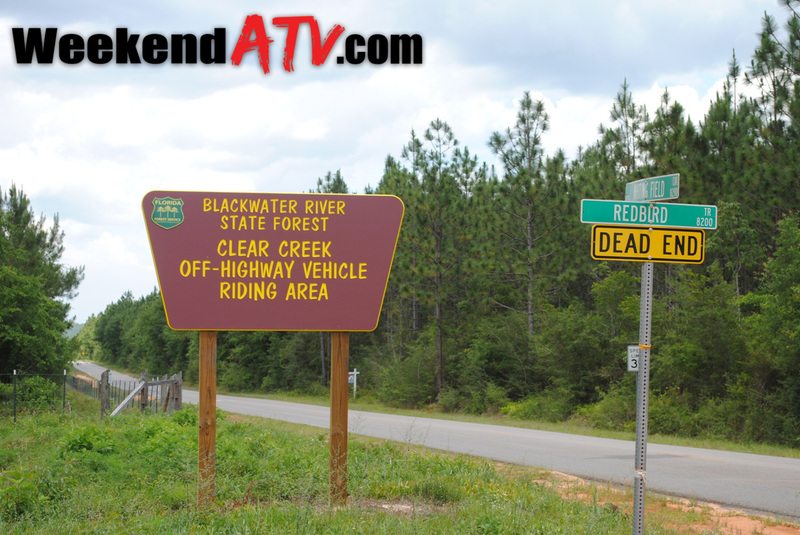 For more details the Clear Creek OHV website is http://www.freshfromflorida.com/Divisions-Offices/Florida-Forest-Service/Recreation/New-OHV-Trails-at-Blackwater-River-State-Forest. They are also on Facebook at https://www.facebook.com/ClearCreekOHV. This entry was posted in Trail Review and tagged Florida, sand, trail by charlie. Bookmark the permalink.